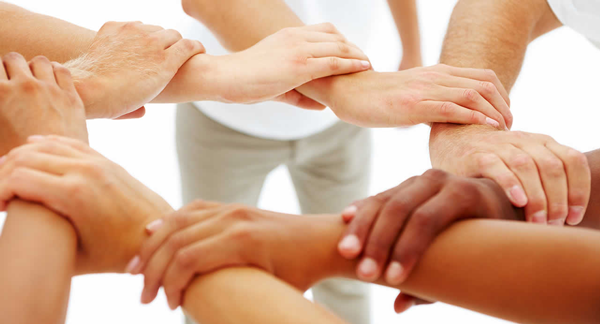 We are an international collaboration of leading doctors, scientists, researchers and health ambassadors looking to change the conversation and transform world health. Every expert on this summit will share with you their knowledge, wisdom and expertise to help you learn, grow and become empowered to make informed choices and take control of your health and your life. The mission of this summit and our intention is to help you recognize that you are unique, that there are many different avenues to achieving and maintaining optimal health, and that there is one that is right for you at this very moment in time. Being informed = being empowered. When you have the right information, you have the power to change your health, your happiness, and your life. The Personal Health Summit is made possible by the Ultimate Human Foundation, a non-profit organization with a mission to transform the health of the human race. The Ultimate Human Foundation is committed to educating and empowering people all over the globe to be proactive about their personal health, providing personalized health solutions for every human being on the planet with accessibility and affordability, and orchestrating and nurturing a global gathering of the world’s key health experts and thought leaders at the vanguard of their respective fields, where solutions can be found to transform the future health of humanity. How you can use your everyday life to turn your good genes on and your bad genes off. How, by blending ancient wisdom with contemporary medicine, synergistic and powerful solutions for health and wellness emerge. Mindfulness is achieved through many gateways – how to train your brain to experience the beauty and fullness of life. Connecting with your spiritual essence – how you can awaken to embody your true nature. What to expect as the future draws closer and technology becomes a standard part of our health practices. How a heart-centered approach to our lives can breed compassion, forgiveness, and gratitude and positively impact our physical health. How to eat, move, and sleep to be your healthiest and happiest. The answer depends on who you are right now. How you can identify and harness your unique gifts to create fulfillment and contribute to the harmonious functioning of the world. Join our expert panel of guests for 4 full days! 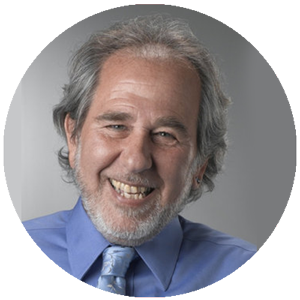 Bruce H. Lipton, PhD a pioneer in the new biology, is an internationally recognized leader in bridging science and spirit. A cell biologist by training, Bruce was on the faculty of the University of Wisconsin’s School of Medicine and later performed groundbreaking stem-cell research at Stanford University. He is the best-selling author of The Biology of Belief and received the 2009 prestigious Goi Peace Award (Japan) in honor of his scientific contribution to world harmony. He has been a guest speaker on hundreds of TV and radio shows, as well as keynote presenter for national and international conferences, lecturing about leading-edge science and how it dovetails with mind-body medicine and spiritual principles. Learn more about Bruce by visiting www.brucelipton.com. David L. Katz, MD, MPH is the founding director (1998) of Yale University’s Yale-Griffin Prevention Research Center, and current President of the American College of Lifestyle Medicine. He is a two-time diplomate of the American Board of Internal Medicine, a board-certified specialist in Preventive Medicine/Public Health, and has received two Honorary Doctorates. Dr. Katz has published roughly 200 scientific articles and textbook chapters, and 15 books to date in the areas of lifestyle interventions for health promotion; nutrient profiling; behavior modification; holistic care; and evidence-based medicine. A widely supported nominee for the position of U.S. Surgeon General, Dr. Katz has been recognized by Greatist.com as one of the 100 most influential people in health and fitness in the world for the past 3 years (2013-). In 2015, Dr. Katz established the True Health Initiative to help convert what we know about lifestyle as medicine into what we do about it, in the service of adding years to lives and life to years around the globe. For more on Dr. Katz and the True Health Initiative, please visit www.davidkatzmd.com and www.truehealthinitiative.org. 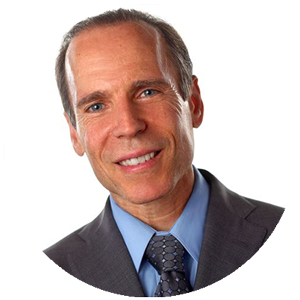 Joel Fuhrman, MD is one of the country’s leading experts on nutrition and natural healing. He is a board-certified family physician, nutritional researcher, and six-time NY Times best-selling author. Dr. Fuhrman is a founding member of the American College of Lifestyle Medicine, and President of the Nutritional Research Foundation. His two latest bestselling books are The Eat to Live Cookbook, and The End of Heart Disease. Dr. Fuhrman’s medical journal articles have demonstrated dramatic weight loss, resolution of high blood pressure and severe cardiovascular disease, and reversal of diabetes and food addiction. 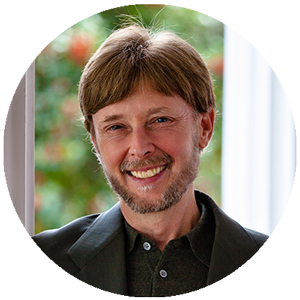 His Nutritarian program is the “Gold Standard” for disease reversal and promoting human longevity. Dr. Fuhrman’s frequent appearances on national television include four hugely successful PBS specials, which bring nutritional science to homes all over America. His current PBS special is Eat to Live. Check out Dr. Fuhrman at www.drfuhrman.com. Bernie Siegel, M.D., is a retired general/pediatric surgeon who is now involved in humanizing medical care and medical education. His surgical training took place at Yale New Haven Hospital, West Haven Veteran’s Hospital and the Children’s Hospital of Pittsburgh. He retired from practice as an assistant clinical professor of surgery at Yale of general and pediatric surgery in 1989 to speak to patients and their caregivers. Bernie has been named one of the top 20 Spiritually Influential Living People on the Planet by the Watkins Review. He is the author of Love, Medicine & Miracles; Peace, Love & Healing; How to Live Between Office Visits; Prescriptions for Living; and Help Me to Heal (with Yosaif August). Meet Bernie at www.berniesiegelmd.com. 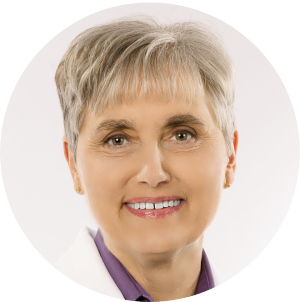 Terry Wahls, MD is a clinical professor of medicine at the University of Iowa. She is also a patient with secondary progressive multiple sclerosis, which confined her to a tilt-recline wheelchair for four years. Dr. Wahls restored her health using a diet and lifestyle program she designed specifically for her brain and now pedals her bike to work each day. She is the author of The Wahls Protocol: How I Beat Progressive MS Using Paleo Principles and Functional Medicine, The Wahls Protocol: A Radical New Way to Treat All Chronic Autoimmune Conditions Using Paleo Principles (paperback), and the cookbook The Wahls Protocol Cooking for Life: The Revolutionary Modern Paleo Plan to Treat All Chronic Autoimmune Conditions. Dr Wahls conducts clinical trials that test the effect of nutrition and lifestyle interventions to treat MS and other progressive health problems. She also teaches the public and medical community about the healing power of the Paleo diet and therapeutic lifestyle changes that restore health and vitality to our citizens. You can learn more about her work from her website, www.terrywahls.com. Howard Martin is Executive Vice President of HeartMath Inc. and co-author of The HeartMath Solution, considered the definitive work on the intelligence of the heart. Integral in launching the Global Coherence Initiative, a science-based, co-creative project to unite people in heart-focused care and intention, to facilitate the shift in global consciousness from instability and discord to balance, cooperation and enduring peace, Howard Martin serves as its Steering Committee Member and spokesperson. 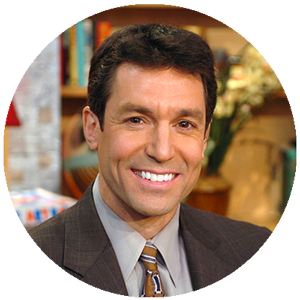 He has conducted keynote presentations and training programs for Fortune 100 companies, government agencies, all four branches of the U.S. military, and has shared scientific research linking heart function with health, emotional well-being and intelligence on CNN Headline News, Billboard, the Boston Globe, and many more media outlets. For more on Howard Martin and HeartMath, please visit www.heartmath.org. 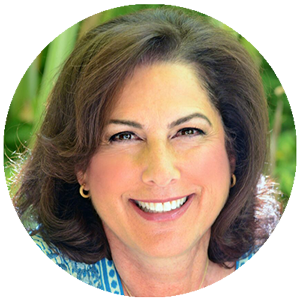 Marci Shimoff is a #1 New York Times bestselling author, a world-renowned transformational teacher and an expert on happiness, success, and unconditional love. Her books include the international bestsellers Love for No Reason and Happy for No Reason. Marci is also the woman's face of the biggest self-help book phenomenon in history, as co-author of six books in the Chicken Soup for the Woman’s Soul series. Her most recent release has been Inkspirations for Women: Color Your World Happy. Marci is also a featured teacher in the international film and book sensation, The Secret and the host of the national PBS TV show called Happy for No Reason. Dedicated to helping people live more empowered and joy-filled lives, Marci’s current passion is mentoring people in her program Your Year of Miracles. Visit Marci at www.HappyforNoReason.com. Arielle Ford is a leading personality in the personal growth and contemporary spirituality movement. For the past 25 years she has been living, teaching, and promoting consciousness through all forms of media. She is a celebrated love and relationship expert, speaker, blogger for the Huffington Post and is the co-creator and co-host of Evolving Wisdom’s Art of Love series. Arielle is also the author of ten books including her the international bestseller, THE SOULMATE SECRET: Manifest The Love of Your Life With The Law of Attraction (published in 21 languages and 40 countries). She has been called “The Cupid of Consciousness” and “The Fairy Godmother of Love.” Arielle has appeared on many national TV and radio shows including Today Show, CNN, Fox News and more, and regularly shares her wisdom on love at workshops around the globe and on www.ArielleFord.com. For special access to the first 3 chapters of Arielle Ford’s new book, please go to www.soulmatesecret.com. 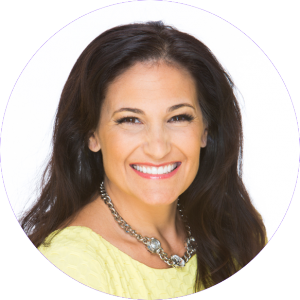 Christy Whitman is a transformational leader, abundance coach and the New York Times bestselling author of The Art of Having It All. She has appeared on The Today Show and The Morning Show and her work has been featured in People Magazine and Seventeen, and alongside esteemed authors and luminaries such as Marianne Williamson, Dr. Wayne Dyer, Marci Shimoff, Brian Tracy, Neale Donald Walsch, Abraham-Hicks, and Louise Hay. Christy is also the CEO and founder of the Quantum Success Learning Academy & Quantum Success Coaching Academy, a 12-month Law of Attraction coaching certification program. Meet her at www.ChristyWhitman.com. Suhas Kshirsagar, B.A.M.S., M.D. is a world-renowned Ayurvedic physician from a family of traditional Vedic healers in India. He holds a B.A. in Ayurvedic medicine and completed a three-year residency as an M.D. (doctorate in Ayurvedic internal medicine) at the prestigious Pune University. Dr. Suhas is a compassionate healer and expert clinician who directs the Ayurvedic Healing and Integrative Wellness Clinic in Northern California. 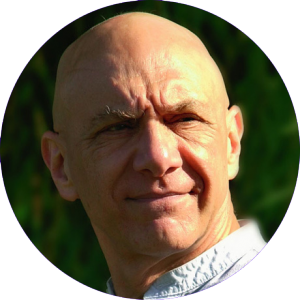 As a sought-after speaker and lecturer, he also travels throughout the world teaching courses in Ayurveda, training doctors, and providing Ayurvedic consultations for thousands of patients. Dr. Kshirsagar frequently shares the stage with many of the top pioneers in health and wellness circles, including Deepak Chopra, Tony Robbins, and Wayne Dyer, and is a keynote speaker and faculty member at several Ayurvedic institutions worldwide. To learn more about Dr. Suhas, visit www.ayurvedichealing.net. John Berardi, PhD, CSCS is a co-founder of Precision Nutrition. He's an advisor to Apple, Equinox, Nike, and Titleist. He has columns on Livestrong.com and The Huffington Post.com and was recently selected as one of the 20 smartest fitness professionals in the world and one of the top 100 most influential people in fitness. Over the last 10 years, Precision Nutrition has become the world's largest online nutrition coaching and certification company. For more on John Berardi and Precision Nutrition, please visit www.precisionnutrition.com. Abel James is a New York Times bestselling author and modern-day Renaissance man. One of America's most trusted names in Health and Performance, he stars as a Celebrity Coach on ABC television and has been featured in People Magazine, WIRED, Entertainment Tonight, and NPR. Abel is host of the #1 podcast in 8+ countries, Fat-Burning Man. Abel has helped millions reclaim their health and perform at their best with cutting-edge science and technology, outdoor adventures, and outrageously good food. For more from Abel James, please visit www.fatburningman.com. Tyler Tolman is the co-founder of ConsciousLifestyler, a global online community that helps its members to improve their health and take control of their lives through completely natural and healthy practices, tools, and values. After a lifetime of research into ancient practices for natural healing, Tyler now dedicates himself to sharing his knowledge with the world, allowing people to rediscover the brilliance of the natural world and its ability to heal and improve lives mentally, emotionally, physically, ﬁnancially and socially. For more on Tyler Tolman, please visit www.tylertolman.com. Ruairi Robertson, PhD has a B.Sc in Human Nutrition from University College Dublin and a Ph.D in Microbiology and Nutrition from University College Cork, where he conducted his research within the world renowned APC Microbiome Institute. Dr. Robertson also spent one year as a Fulbright Scholar working in Harvard University and Massachusetts General Hospital in Boston, USA. These days, he is a scientific writer for www.authoritynutrition.com and postdoctoral researcher at ‎University College Cork in Ireland where he conducts scientific research to examine how the trillions of microbes that constitute the gut microbiota can influence both physical and mental health, and most importantly how our diets influence this relationship. Just for registering, you’ll receive these incredible gifts! 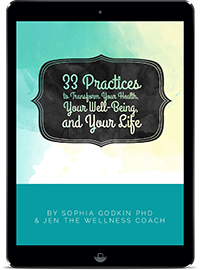 This comprehensive guide book offers a collection of simple, yet effective and transformative strategies for personal fulfillment – emotional, mental, physical, and spiritual – that you can implement now into your daily life. By learning and implementing the practices within these pages that most resonate with and excite you, you can begin today to live the life you truly desire and deserve. 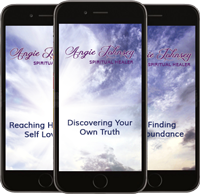 Discover your perfect health with 4 amazing Personal Health Meditation mp3s with Spiritual Healer Angie Johnsey – Reaching Honest Self-Love, Discovering Your Own Truth, Projecting Your Mastery, and Finding Abundance. Complete with brain wave entrainment to stimulate deep meditation, you will drift peacefully into a state of conscious knowing, abundance and worth! Matt Riemann, M.App.Sc., B. App. Sc. 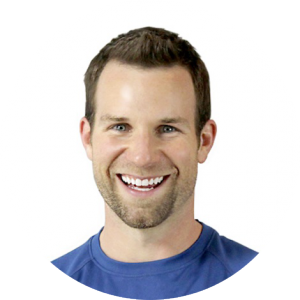 Matt holds a masters in applied human sciences, is a lecturer and clinical educator at several universities in Australia and the US, and has been recognized for his passion and excellence in educating doctors, health professionals and fitness experts globally over the past 10 years. 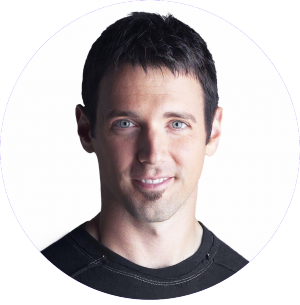 In 2013, Matt founded the Ultimate Human Foundation, a non-profit with a mission to transform world health and assist in eliminating chronic pain and disease from the planet. Matt has founded 7 businesses in health and medicine over the past 10 years, launching ph360.me, the world’s first smart health app based on personalized epigenetics and gene expression and most recently launching Shae™, the world’s first virtual assistant to deliver interactive, intuitive, and personalized insights for health. Get access to live calls, replays, and bonuses.